3 Years + As A beauty Blogger.. So many amazing memories. Today I wanted to look back on what I have achieved since starting my blog Kemples. I just wanted to remind myself how well I have done with my hobby and how much I really love doing this. I have been reminded by some amazing people lately that I should be proud of what I have done and to keep going. Blogging means the world to me and I can see myself doing this for years to come. So many more blog posts to write and so many more memories to collect. I sometimes get lost in a ball of negative thinking and this week has been one of those weeks, so when I feel sad I turn to my blog. It gives me something positive to do and after typing up a post I start to feel a lot more focused. 2014 felt like the year for my blog, I met so many amazing people and I got to attend amazing events. Being invited to events is something I will forever be shocked by and super grateful for. I enjoy meeting new people and from my events I have gained so many new friends. I am so inspired by the blogging community so it is nice to meet the people behind the blogs. The support and love you get from bloggers means everything to me, it helps me stay focused on such a positive part of my life. 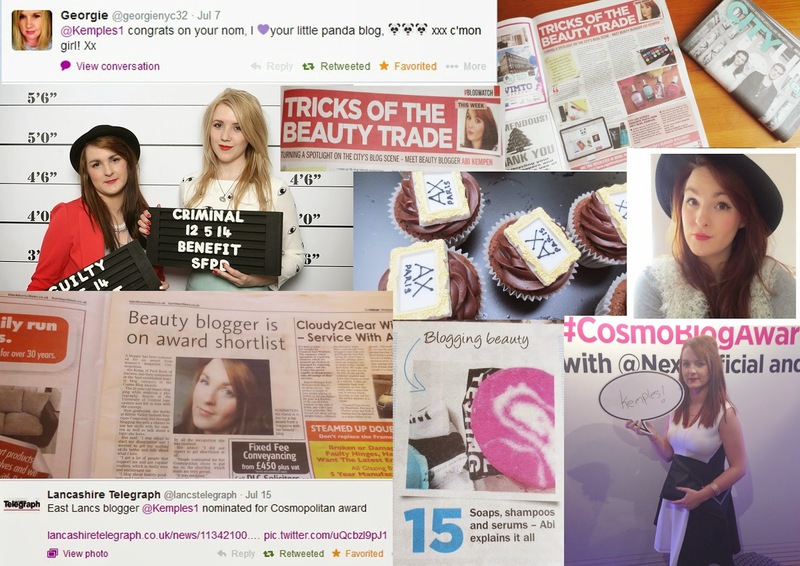 I know I have said this before but being nominated for a Cosmopolitan award felt like nothing else in the world. 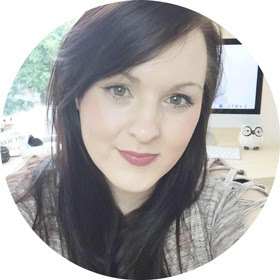 I still feel so happy to have been reconised as an established Beauty blogger, it gave me the drive to push my blog further and to really enjoy myself. Talking about things I love and collecting memories through my blog. Documenting my life, making new friends and having my own space on the internet to be creative, this is something I want to do my whole life. Having my blog as a hobby and growing as a person through it, soon I may pluck up the courage to start a YouTube channel..
As a young girl I wanted to work for a magazine but this is my adult dream. 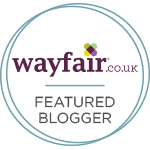 Even though I may still be a small blogger in this community but I am so pleased to be part of it. Working with brands I adore and being sent products to review is something I will never get used to. I only work with brands I would use or love personally, recommending products to you is something I take very seriously and I know you respect me to do so. Never compare your blog to another blog, a blog is unique. start a blog about a subject you are passionate about. go to events by yourself or tweet about the event and meet up with other bloggers. I have met so many amazing new people doing this. promote your blog via twitter and join in with the blog chats. What would you like to see next on Kemples? This was such an inspiring post! Congratulations on 3 years and the nomination, definietly an achievement to be proud of! I definitely feel apprehensive going to events alone (and have bailed because I have such anxiety!) so its nice to read that you've met friends and went solo too!